Carmelo Anthony is one of the most polarizing players in recent NBA history. Most fans either love him or hate him. Regardless of opinion, Melo is undeniably one of the greatest scorers of all-time and a future Hall of Famer. As of his 10th and final game in Houston (according to his Rockets teammates), the 34-year-old Anthony currently ranks 19th in all-time NBA scoring with 25, 551 points. His career averages, compiled over the course of 15+ years, stand at 24 points per game and .449 FG%. Melo is also a 10-time All-Star, the 2013 NBA scoring champ, and the beloved star of Syracuse’s 2003 NCAA championship squad. 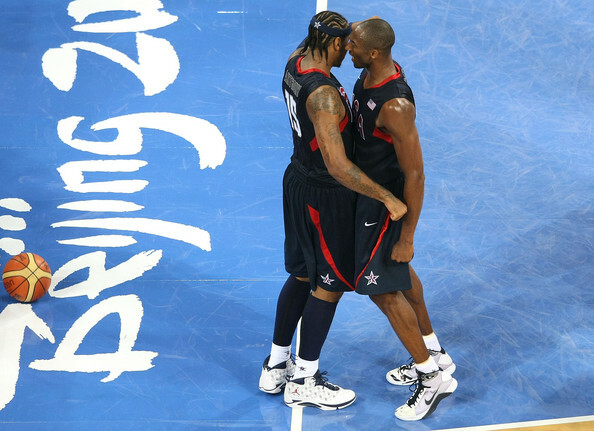 His greatest professional basketball achievements arguably came on the international stage when he represented the United States in the Olympics. Anthony is the U.S. men’s national basketball team’s all-time leader in points, rebounds and games played as well as the recipient of three gold medals and one bronze. But aside from these flashy accolades, Anthony has never achieved much success in the NBA postseason. His only Conference Finals appearance was in 2009 with Denver, meaning each of the other 10 teams he took to the playoffs suffered first or second round eliminations. His career playoff record is 25-47, per StatMuse. Basketball traditionalists would tell you this is no coincidence. Melo notoriously lacks one of the foundational qualities of any great player – consistent defensive effort. Over the years, Anthony has used high scoring numbers to cover up his overall lackluster energy and unwillingness to use his size, strength and athleticism on the defensive end. At 6’8’’, Melo expertly uses his body and strength to create quality scoring looks. But on defense, he walks around flat-footed, plays with minimal physicality, and forces teammates to exert extra effort to cover his slack. If the best players lead by example, then the aging Anthony brings little to the table. That’s why Houston is reportedly ready to move on just two months into the season. Even though he is playing worse than ever before, this will not be the first time Melo has left a team on unfavorable terms. Anthony spent nearly eight roller coaster years in Denver before forcing his way out by demanding a blockbuster trade that sent to him to his hometown New York City. The ugly situation involving the Nuggets and Knicks became known as “Melo-drama” in the media. In New York, Anthony ran Mike D’Antoni, his current head coach in Houston, out of town by threatening to leave the Knicks if they kept D’Antoni as their coach. This pressure forced D’Antoni to resign. 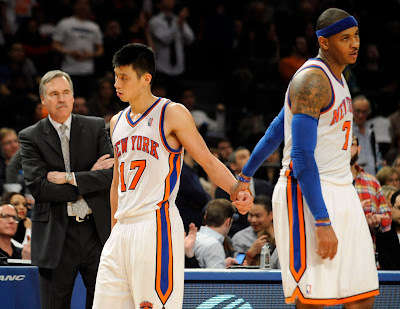 Furthermore, Melo’s incessant complaining, unwillingness to share the scoring load, and unreliable effort derailed teammate Amar'e Stoudemire’s MVP campaign in the 2011-12 NBA season and halted Jeremy Lin’s rise to stardom. The Knicks became exciting when Stoudemire emerged as a MVP frontrunner and “Linsanity” captured the Association by storm. But instead of embracing the idea of three dynamic scoring options, Melo took personal offense to Lin’s success and purposely chose not to share the ball with his talented teammates. Failing to acclimate to the talent around him is arguably Anthony’s greatest professional failure. Last season in Oklahoma City, Melo posted career-low numbers while the star-studded Thunder achieved moderate regular season success. In the playoffs, Anthony’s numbers predictably further plummeted as soon as he was matched against opponents exerting maximum energy every game. Over his six postseason games, Melo averaged just 11.8 points and shot an abysmal 21.4% from three-point range. OKC then traded Anthony to Atlanta in the offseason after Melo scoffed at the idea of embracing a sixth man role for the Thunder. In Atlanta, he was bought out within five days and paid $25.5 million to leave the organization without playing a single game. The Hawks did not want their young malleable players, such as Trae Young, to develop near Anthony’s influence. One month later, Atlanta signed the 41-year-old Vince Carter, a known mentor, to help with Young’s development. Finally, in Houston, Melo lasted just 10 games. That’s it – before the organization was ready to cut the cord and admit that his horrendous defense is inadmissible at the NBA level. "The Rockets’ losses have been ugly, but no player is responsible for a worse points discrepancy than Melo. In 294 minutes with Melo on the floor, the Rockets have been outscored by 63 points. The Rockets have outscored other teams by seven points in the 282 minutes he’s sat on the bench. That tallies up to Houston being 11.1 points per 100 possessions better without Melo on the court (1.9 on offense and a whopping 10.1 on defense.) That’s more than enough to separate wins from losses." Bad defense is infectious. 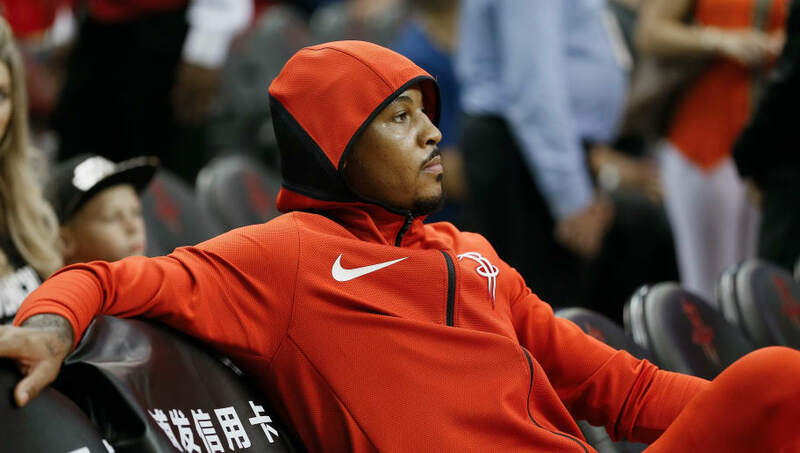 The Nuggets, Knicks, Thunder and Rockets have all learned the hard way and it is becoming decreasingly likely that Anthony will ever play significant NBA minutes again. Older veteran players like Carter remain effective through the late stages of their careers, despite any physical decline, by actively embracing leadership, hard work, and defense as their best qualities. Unfortunately for Melo, those are several of his greatest weaknesses. Melo’s talent is irrelevant to his future because his downfall is associated with his selfish attitude and personal decision to play minimal defense. It is as simple as that. Still, several players have come to Anthony’s defense in the belief he is being scapegoated. With so much controversy and disgruntlement surrounding a player’s decline, another misunderstood former Knicks’ star who hails from Brooklyn comes to mind. Similar to Anthony, Stephon Marbury was a NBA All-Star ousted from the NBA because of behavioral issues before he was ready to leave. Marbury had never considered playing internationally. But once the Beijing Fly Dragons of the Chinese Basketball Association offered him a chance to become the face of their organization, things clicked into place for Marbury. Prior to playing in the CBA, Marbury had been so emotionally affected by his career downfall, struggling business endeavors, and media criticism that he contemplated suicide, unable to cope with the notion of his basketball career ending prematurely. It must have been surreal for Marbury when his plane landed in China and he saw thousands of cheering fans “going crazy” at the airport. After that, the once-despondent Marbury transformed and flourished. He became humbler. He formed lasting friendships despite language barriers. He embraced and respected another country’s culture. He became the league MVP. "He is so popular in Beijing that he has been featured on a postage stamp, has his own statue in the city and his own museum just a few blocks away from Tiananmen Square. A theater company made a musical of his life called 'I Am Marbury' in 2014, and he played the starring role. He recently won Best New Actors honors at the Shanghai Film Festival for his bio-pic, 'My Other Home,' about moving to China. 'I never could have imagined my life would go like this,' Marbury said before speaking to a group of freshmen at NYU. 'It’s unbelievable, but it’s my story.'" From depressing downfall to hailed hero, Marbury found legitimate success and happiness in the CBA. Not to mention, his Starbury sneaker brand is more successful than ever. For Melo, similar crossroads are approaching. Only the Warriors can salvage Anthony’s crumbling NBA career. Golden State’s guaranteed postseason success would override the poor individual defense of any singular player. But aside from the Warriors, Melo can never attain true postseason success as one of the top ten players on a NBA team. Again – top ten players, not top ten scorers. So, when international teams reach out, eager to pay Anthony millions to represent their cities, don’t be surprised if he accepts. It might be the smartest move for a falling star who is only hurting his legacy and career averages by sticking around and playing poorly. Take a close look at the greatest achievements of Anthony’s career: National champion at Syracuse. Olympic scoring machine. All-Star appearances for mediocre NBA teams. Each of these situations allowed Anthony to thrive as the big fish in a small pond, focusing purely on scoring, his greatest asset. But in competitive games against elite NBA teams, Melo’s defense is always exploited and he damages his team’s chances of winning, no matter how many points he scores. 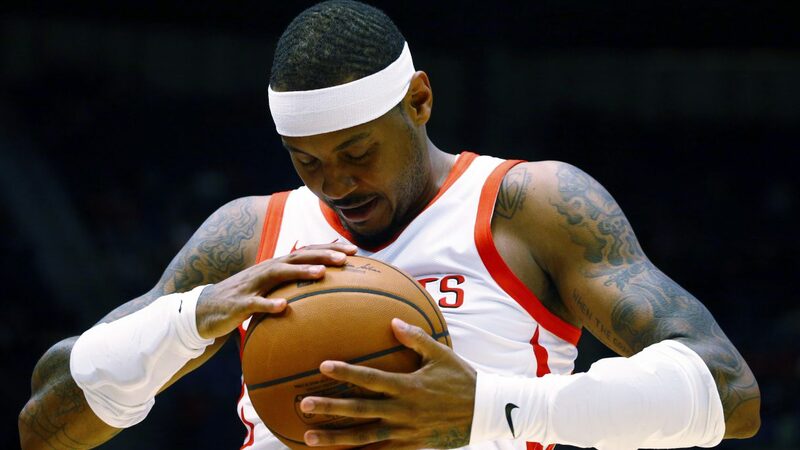 Signing for a team abroad would give Melo the opportunity to singlehandedly ignite a city’s fan base, something he can no longer do in the NBA. Chinese basketball fans are hungry for elite talent and Anthony, like Marbury, could become a legend. His scoring talents would be greatly revered and he’d even compete adequately on defense just for his size and strength. A big fan base with a small pool of elite talent – I can’t think of a better place for Melo to prosper and still play plenty of minutes. 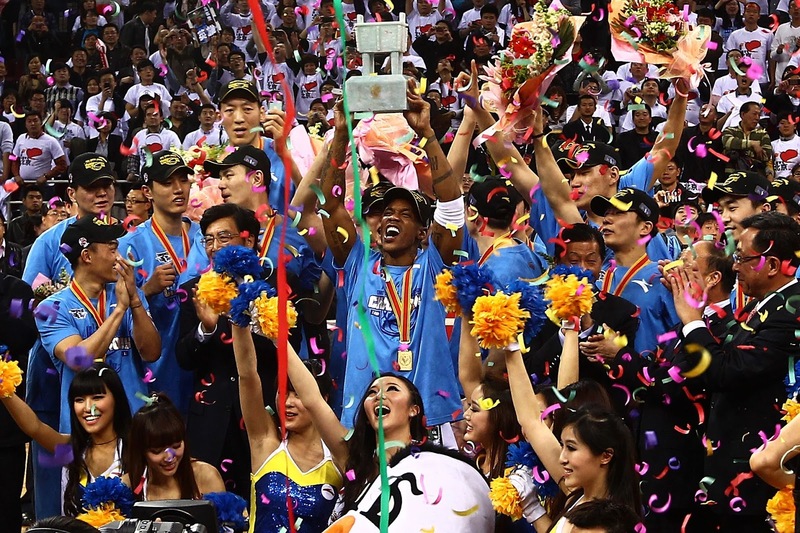 Marbury found peace and happiness playing in Beijing. He also became a better teammate and person, as well as a champion and a national icon. Marbury believes Chinese basketball saved his life and his CBA accomplishments may even help his strong case for the Hall of Fame. Meanwhile, Melo is likely a Hall of Famer regardless of his next move. But it is worth noting that Beijing is where Anthony won his first gold medal in 2008. It is already a city he will never forget. Maybe that’s not a bad place to forge a new legacy. Copyright © 2015 Tommy Point | TommyPoint.com - Boston Celtics NBA Fan Site and Blog. Powered by Blogger.